It is suitable for medium & small pharmaceutical factory,,hospital preparation lab.etc. The DTJ-V Capsule-Filling Machine is a new type of medicine filling machine with novel structure and attractive appearance. Under both electrical and pneumatic control and equipped with and automatic electronic counter and computer-controlled speed-adjusting device, the machine can accomplish the positioning, separation and locking etc. of capsules. In place of manual capsule-filling, it can reduce labor intensity and raise productivity. 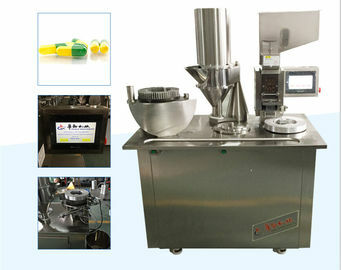 Its filling amounts are accurate and up to sanitary standards for pharmaceutics.